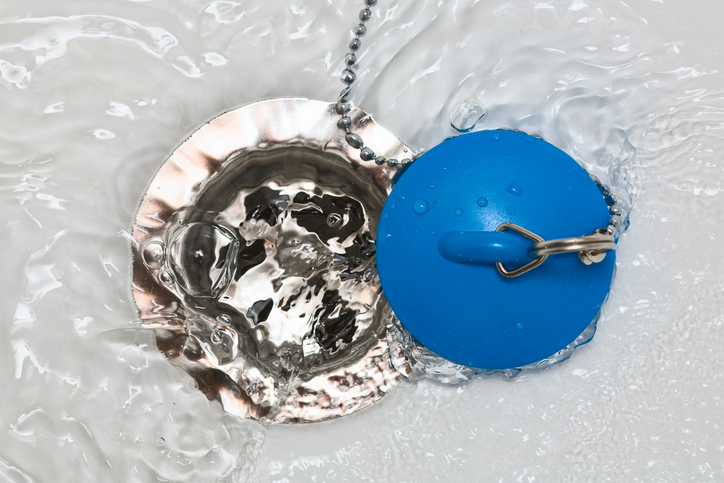 Avoiding clogged drains is important for any plumbing system. But for homes and businesses with septic systems, a clogged drain can place unnecessary strain on the septic tank. Jones Plumbing & Septic Tank Service provides a range of professional septic tank services to keep your septic system in top shape. Call us today to schedule an appointment! In the meantime, these five tips can help you avoid the hassle of a clogged drain. Remember that a little bit of food can build into larges blockages, especially if other people in the home also rinse food particles down the drain. This is especially true of fat, oil, and grease (FOG). Even in small amounts, FOG in food residue can cause serious damage to your septic system. Also, pasta and rice continue to expand and swell when exposed to water. As these fragments of food accumulate, pipes become extremely prone to clogs. Brushing or combing your hair before bathing or showering removes loose hair that could flow into the drain and clog the pipes. Make sure the drain is protected with either a steel mesh or silicone drain cover and clean the cover as necessary. If you wash a pet in the bath or shower, cover the drain with a washcloth. Pet fur can also cause stubborn drain clogs. Septic tank companies, such as Jones Plumbing & Septic Tank Service, strongly discourage the use of garbage disposals but understand if your home already has one installed. In that case, our technicians want you to remember thee following two tips. Run cold water before, during, and after using the garbage disposal. The temperature prevents food and particles from adhering to the sides of the plumbing. Never pour FOG into a garbage disposal. Not only does it create foul odors as it solidifies, but FOG coats mechanical parts, including the blades, and can cause a system breakdown. There are a lot of everyday products labeled as flushable, but the catch is that only toilet paper and waste should be flushed down the toilet. Flushing other items can cause clogs in the drain pipes and harm necessary bacteria inside the septic tank. Household cleaners, chemicals, medicines, and vitamins can also kill the bacteria. Without bacteria to break down organic matter, solids build up inside the tank. When this happens, be sure to call Jones Plumbing & Septic Tank Service for septic tank pumping or repair right away. Professional drain cleaning should be scheduled and performed each year. This allows technicians the opportunity to inspect the plumbing for other issues, such as cracks and leaks. Most drain cleaning companies use a high-pressure stream of water — known as hydrojetting — to remove clogs while simultaneously cleaning the inside of the plumbing. A bonus tip is not to overlook having the septic tank professionally cleaned every three years to five years, even if you keep a keen eye on what is going down the drains. Our technicians check the septic tank for tank damage and other issues along with noting the level of solids and liquids inside. If the solids level is nearing the intake and outflow pipes, we’ll provide a timeframe for when a septic tank cleanout should be done. For professional septic tank service home and business owners can rely on, call Jones Plumbing & Septic Tank Service today!